For lower and upper exercises. 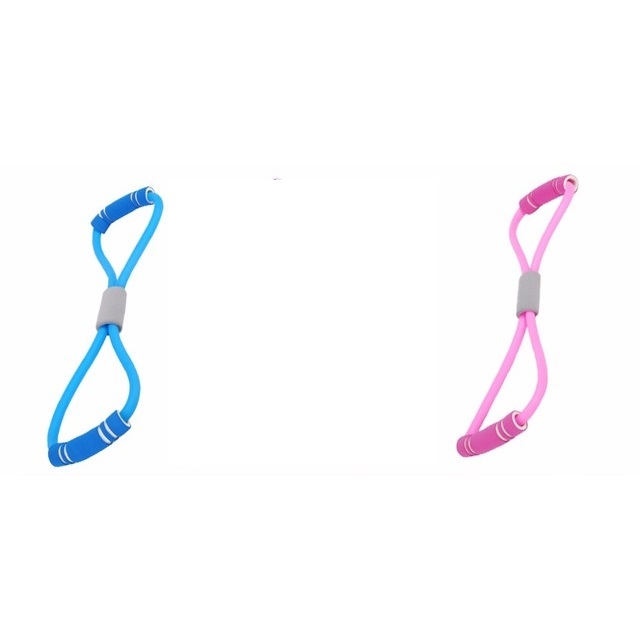 Pilates Resistance Band. The excellent resistance rope is specially designed for fine exercises, abdominal exercises and all body muscles. You can use it for buttocks, thighs or even upper and abdominal exercises. Improved flexibility, light transportable design. Exercise exercises your arms, shoulders, chest, back, legs, and more. Lasting flexibility and 3 times longer in tensile strength. Easy to carry, travel, packaging, anytime and anywhere. Excellent for home power training. Options: pink color. blue color.